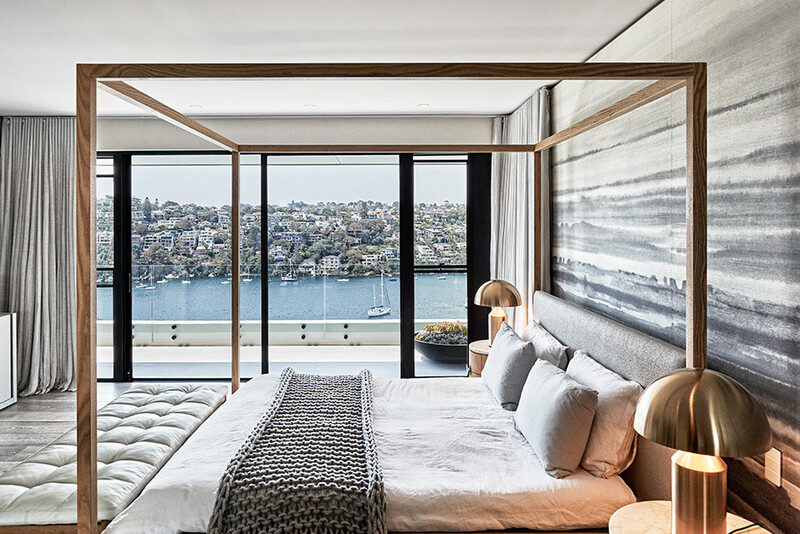 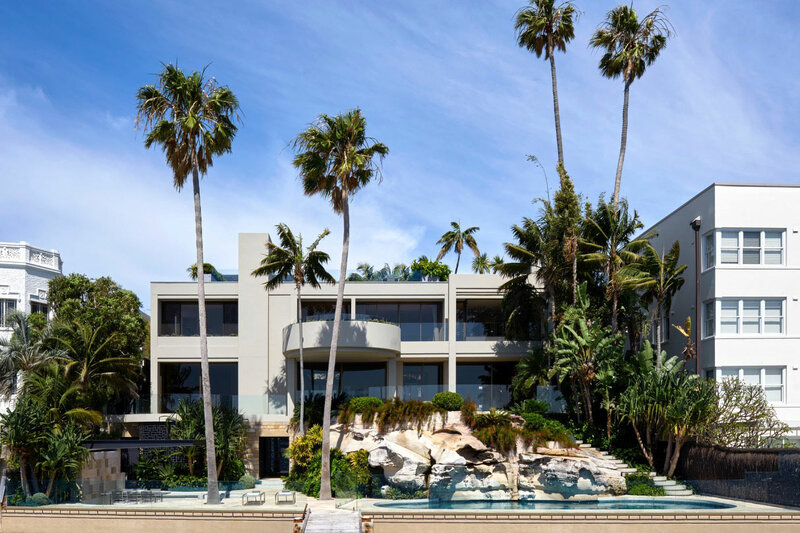 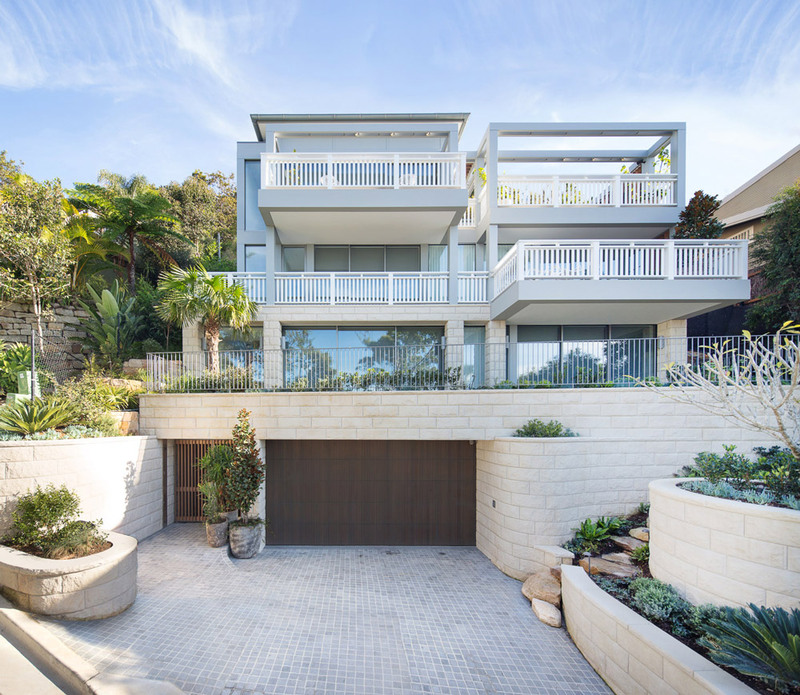 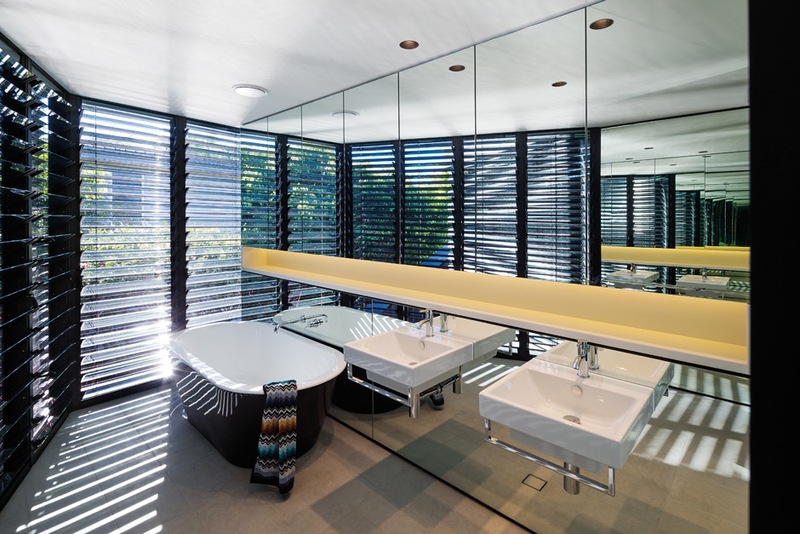 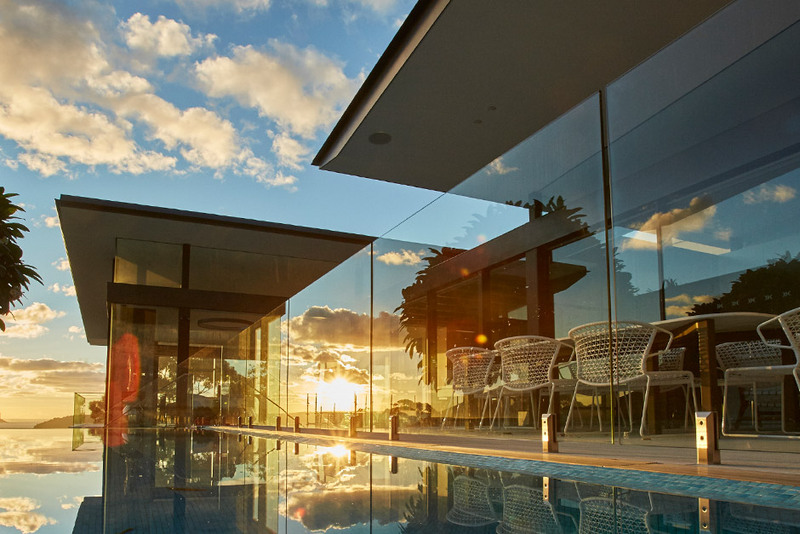 The client desired an extremely private house, yet required it to open on three sides; to the spectacular view towards Sydney Harbour, the sunny northern aspect and the rear garden. 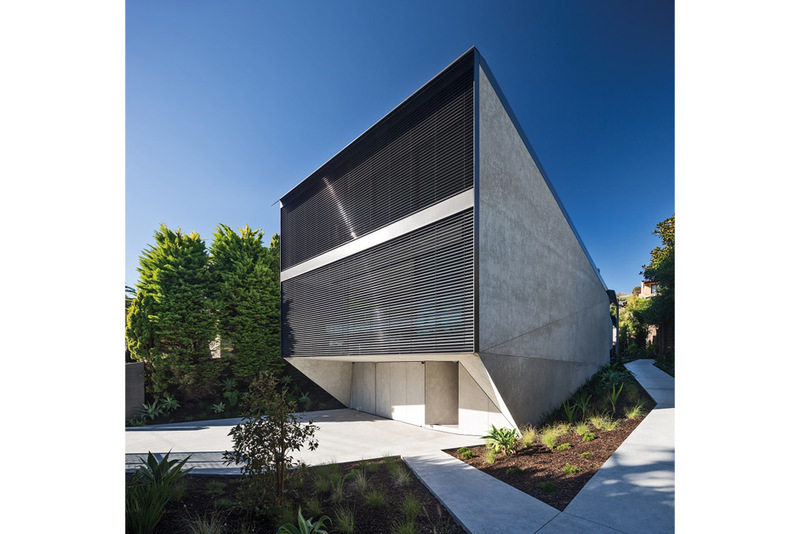 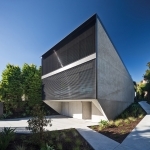 In response to the client’s brief the house has been constructed within a protective masonry shell. 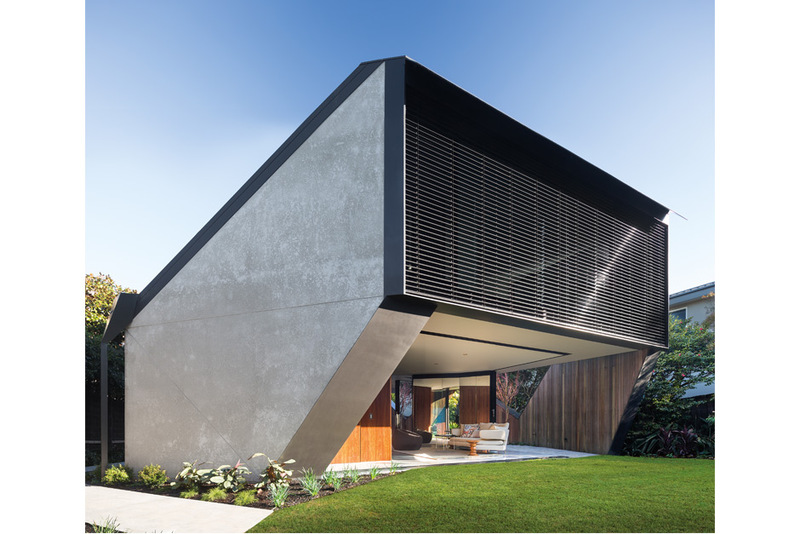 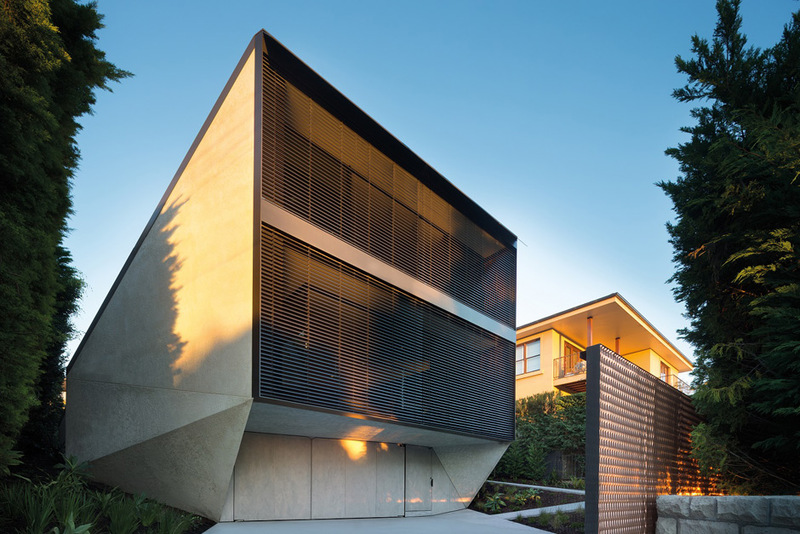 The walls of the masonry shell are faceted and heavy, and have been sculpted to provide the necessary privacy to the interior without sacrificing solar access. 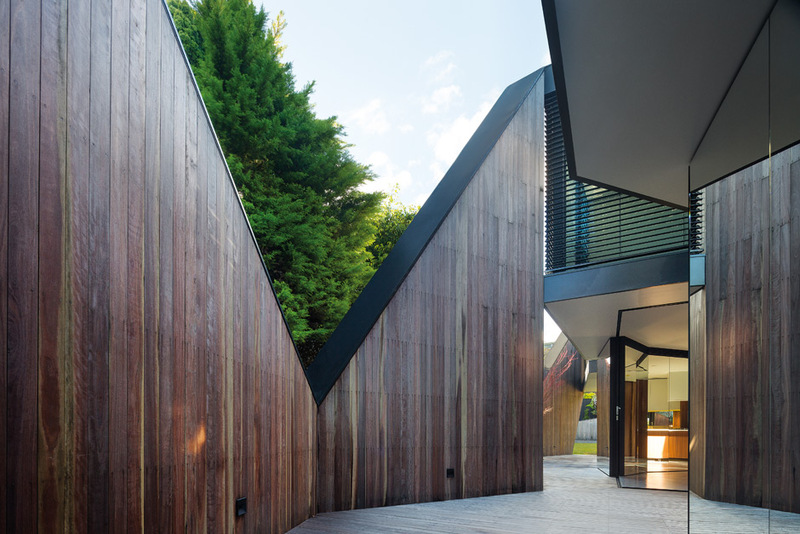 Designed to fit within the local planning envelope controls, the walls diminish in height when approaching the boundary, creating a zigzag profile on the northern façade. 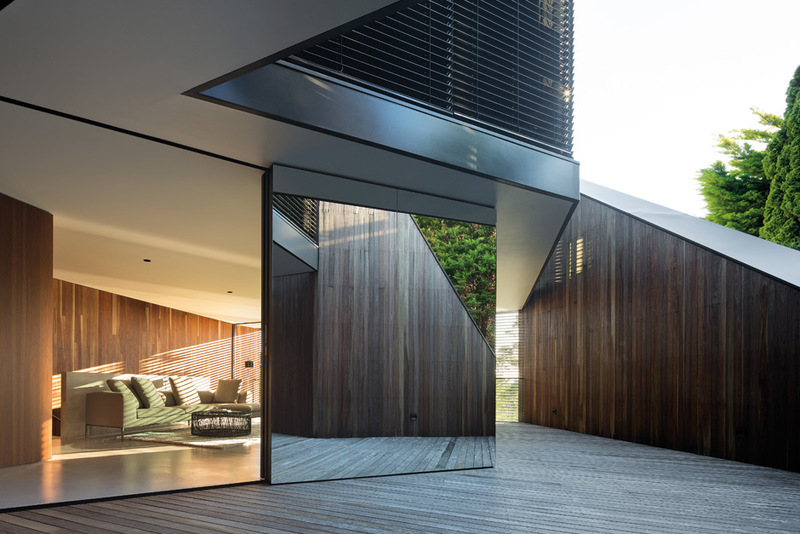 The resultant geometry foreshortens the perspective of the building when viewed externally, whilst the oblique angles manipulate and extend the perspectival depth of the interior. 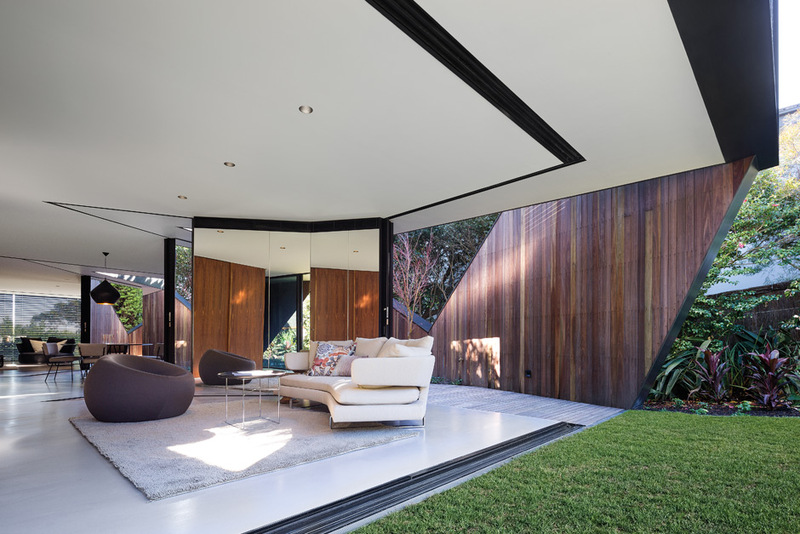 Within the masonry shell a light glazed and louvred structure has been inserted that nestles against the southern wall, appearing to ‘float’ above the living space and courtyards below. 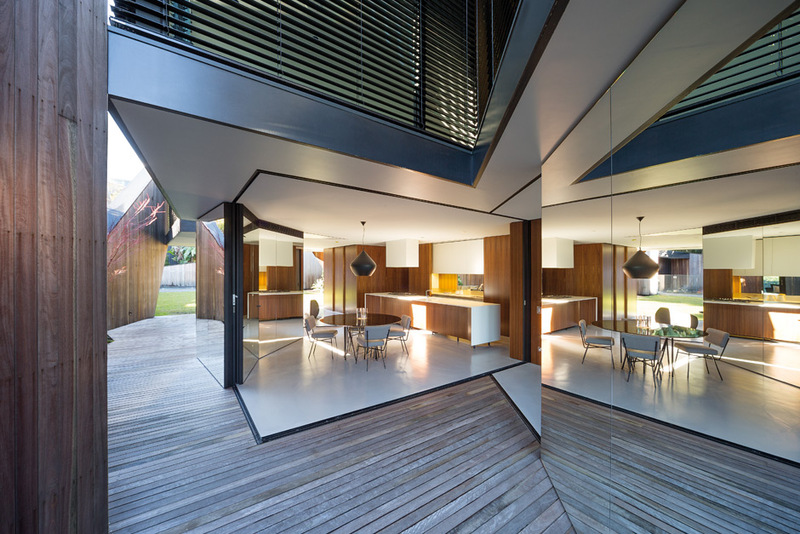 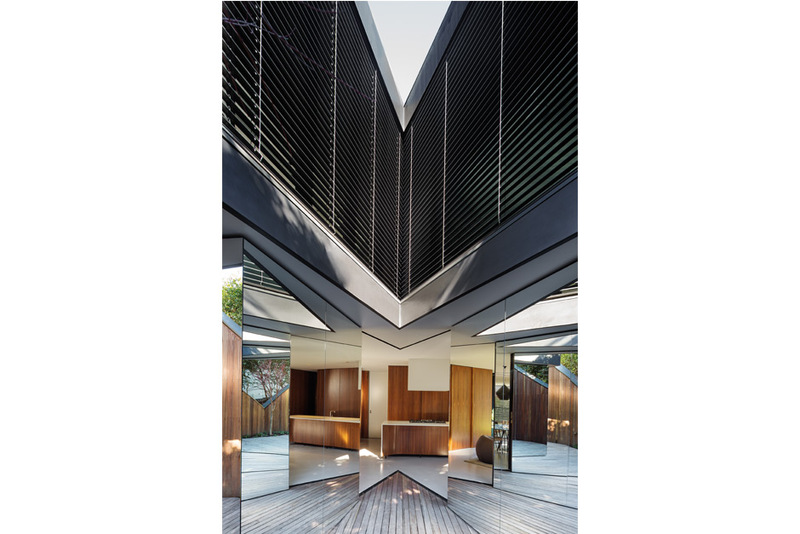 Living rooms on the ground level are arranged around irregularly shaped courtyards, a maple tree and mirrored cores. 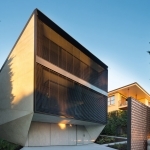 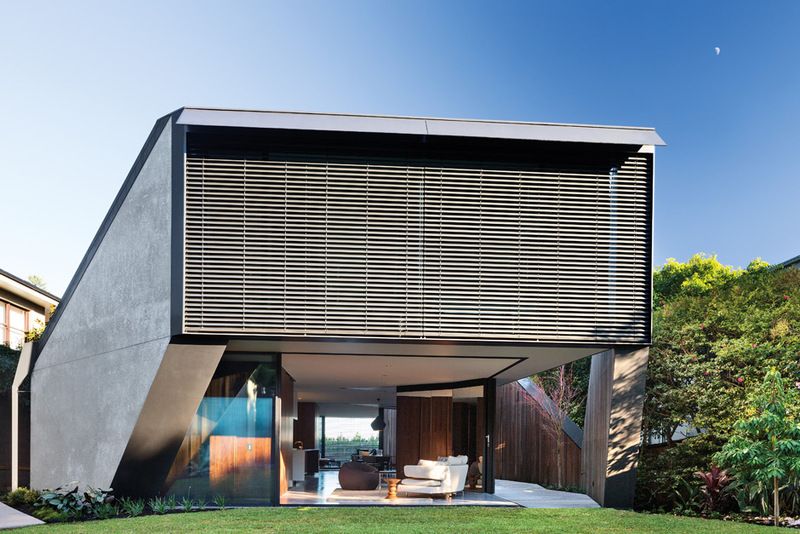 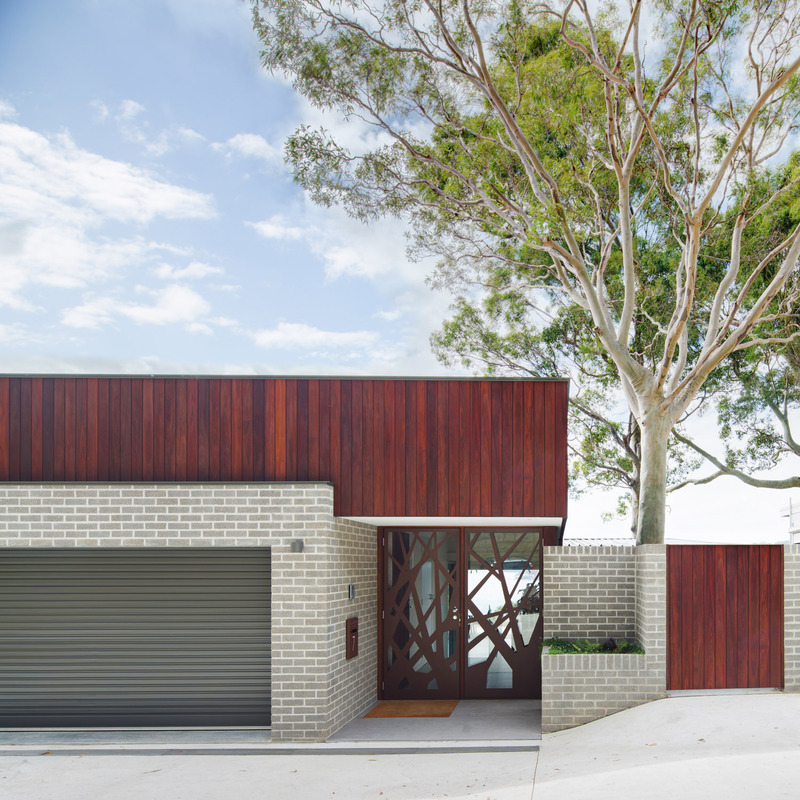 The solid textured render of the external walls contrasts with the spotted gum timber internal lining of the house. 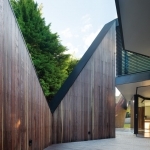 The materials are left raw and uncoated and are designed to weather with age.